‘I don’t know why you bother reading such long books,’ said a customer to her boyfriend, the other day in the bookshop. He was reading the back cover of Freedom by Jonathan Franzen, which is, admittedly, rather long. ‘I only read short books,’ she declared to the shop at large. What a wally, I thought. Surely some of the greatest books are some of the lengthiest? 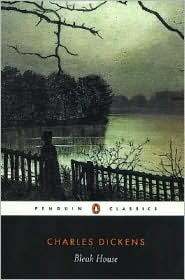 Bleak House, Ulysses, Middlemarch … and if those seem too snotty, then what about all those thick George Martin books which seem to be the nation’s current obsession? But now I reflect upon it, perhaps there is something to be said for brevity. Reading a short book is an altogether different experience to reading a long one. A long book is a trusty, constant companion for a few weeks, sometimes even a month. Reading is a gradual, gentle process of absorption. The characters come alive in the margins of the day; they’re there, always, but they’re rarely insistent, they don’t come barging in and demand a whole morning of one’s time. Reading a short book, on the other hand, can be startlingly intense. 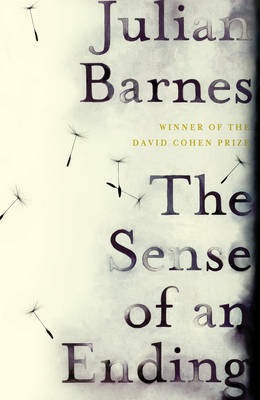 I read Julian Barnes’s The Sense of an Ending in three sittings, most of it taking place across one afternoon. It was completely involving, and when I’d finished, I felt almost dazed. A short book can be a sharp, breathless experience. This weekend, I read another very short, very enjoyable book. You might remember my writing about Alexandra Harris in previous posts, where I’ve discussed her marvellous (long) book Romantic Moderns. So it was with a great deal of anticipation that I greeted her new book Virginia Woolf. 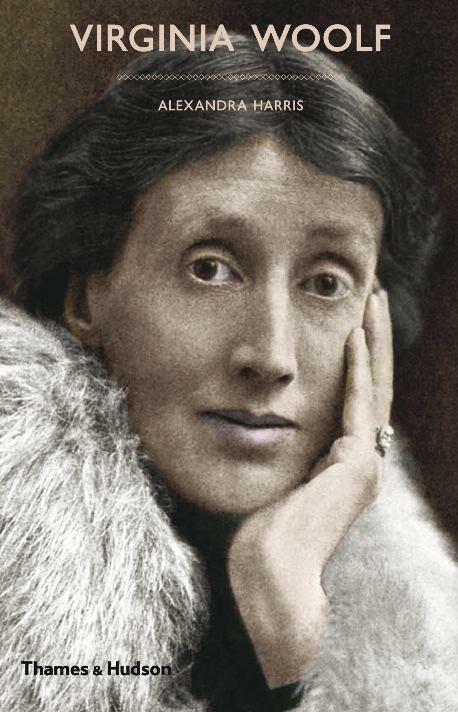 Especially as I have such a soft spot for Virginia Woolf, having specialised in her at university. It is of lying half asleep, half awake, in bed in the nursery at St Ives. It is of hearing the waves breaking, one, two, one, two, and sending a splash of water over the beach; and then breaking, one, two, one, two, behind a yellow blind. It is of hearing the blind draw its little acorn across the floor as the wind blew the blind out. 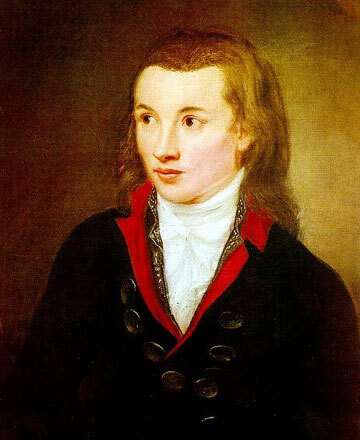 It is of lying and hearing this splash and seeing this light, and feeling, it is almost impossible that I should be here, of feeling the purest ecstasy I can conceive. It is one of those hidden revelations that Woolf’s fiction would propose as the structuring principles of our lives. I love this idea of Woolf’s of ‘moments of being’, and it seems as though Harris has taken this, rather pleasingly, as the principle of her life of Virginia Woolf. 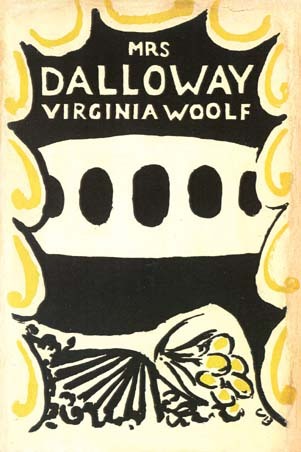 For rather than it being an exhaustive (and exhausting) biography, stretching on for hundreds of pages, going into minute detail about each moment of every single day, every passage of each piece of writing, she glides over the surface of Woolf’s life, dipping down for occasional, significant moments of depth. In her account of Woolf’s childhood, for instance, Harris glances at her relationships with her mother, father and siblings, her education, and summer trips to St Ives all within the space of ten pages. 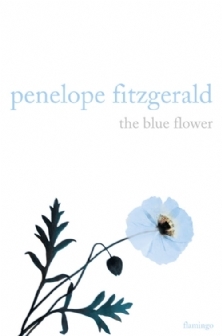 But the overriding event of her childhood – and the one on which Harris concentrates – is the death of her mother. This is the important moment, and this is what will crop up again and again in Woolf’s novels. More often than not, Harris concentrates on Woolf as she is writing her novels. Here is Woolf having a breakdown, dangerously ill, before The Voyage Out is published … and here she is busy and excited and happy while writing Jacob’s Room. (‘[I] an really very busy, very happy, & only want to say Time, stand still here.’) While this is against a backdrop of friendships, houses, and world events, the foreground focuses on her writing. And, frankly, while Bloomsbury life was undoubtedly bohemian and exciting and interesting in a gossipy sort of a way, how much more fascinating it is to read about a woman in light of her work rather than in light of her friends. Which is perhaps why what this book makes me want to do more than anything, with all these new pockets of light shed upon moments of Woolf’s writing life … is to reread some Virginia Woolf. Goody! It feels as though the book world has gone slightly barmy for Barnes at the moment. His new novella The Sense of an Ending has been longlisted for the Booker, and its publication coincides with that of the paperback of his previous book, Pulse, a collection of short stories. His name seems to be more-or-less in lights in many bookshop windows. 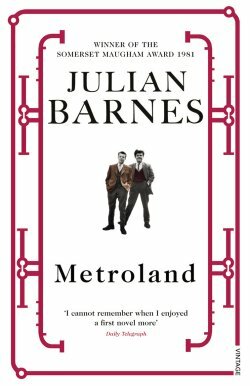 I first came across Julian Barnes when we studied Metroland at school. I loved Metroland, perhaps because it was one of the first books – that wasn’t Shakespeare – which we spent a considerable amount of time studying. Here was a book that one could go and buy in a bookshop to read for pleasure, on holiday, or – best of all, given the subject of the book – on the tube. It wasn’t a ‘classic’, or by someone intimidatingly famous, or even particularly long. Yet it was deemed worthy of a whole term’s scrutiny. Most of all, I loved the thought that I was studying a book that many grown-ups – my parents included – hadn’t even heard of. Part of the syllabus insisted that our approach to the work included an appreciation of the academic criticism surrounding it. This stumped my teacher, who couldn’t find anything in the school library, which was full to bursting with works on older, more illustrious names like Donne, DH Lawrence, and Shakespeare. 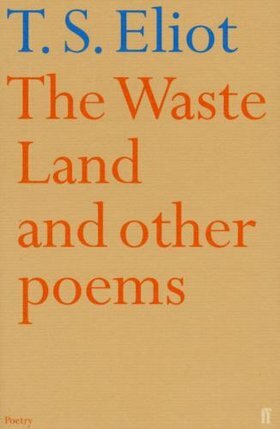 I remember his telling us, one sunny afternoon when we were all sitting at our desks, vaguely trying to outcool each other, that he’d got a bus to the British Library, where he’d found a single book of criticism on Barnes, and, with rather a theatrical flourish, he presented us with a photocopied chapter on Metroland. I know isn’t a remotely cool thing to say – of course I didn’t say anything then, just raised an eyebrow while staring at the graffiti on my desk – but it felt kind of cutting-edge. In the whole world, there existed only one chapter about Metroland. We were the pioneers, writing our own critiques on a clean slate. 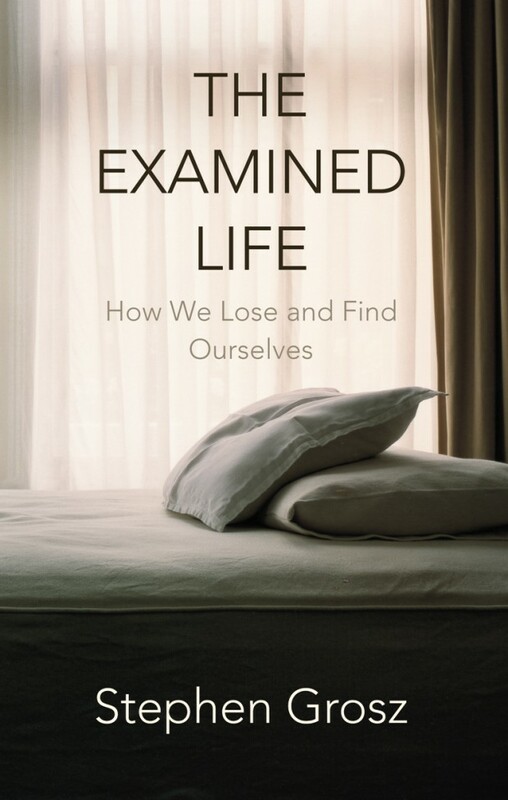 I suppose it was a bit like when I studied post-colonial literature at university and all the essays I read had been written within the past five years, rather than having to trawl through everything from the sixties and beyond which seemed to engulf most other areas. So I’ve retained a deep affection for Julian Barnes. I remember some of us, after finishing with Metroland, read some more of his books, which we’d casually drop into conversation. ‘Love etc.’ I remember one boy, on whom I might have had a bit of a crush, telling me, when I tentatively asked him what he was reading, a few weeks later. Of course it was enough to make me turn puce. He just said LOVE, I thought, again and again. I wondered if it was some kind of code, though knew, with a sharp tang of reality as his girlfriend came over to join us, that that was unlikely. I did, however, feel immensely proud when he asked what I was reading and I could reply, equally nonchalantly, with one of Barnes’ other works, Staring at the Sun. But it’s always been Metroland for which I’ve had particular affection. 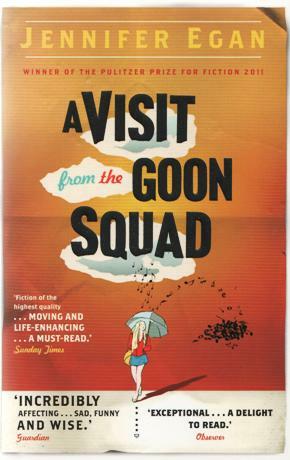 The book – Barnes’s first novel – is about a middle-aged man recollecting his school days, his close group of friends, their pretentious faux-intellectual habits – silly things such as practising being flâneurs. I suppose the older I get (sigh), the more I think of Metroland and empathise with that feeling of nostalgia. Although when I was at school it was faux-street rather than faux-intellectual habits we cultivated, such as dancing to garage music and using words like ‘chirpse, bare, lean’. Nostalgia and embarrassment. I suppose what I’m trying to say is that while it might have been rather a long time since I last read something by Julian Barnes, that gap is diminished in my head because I’ve thought about Metroland rather a lot in the meantime. I even reread it five years or so ago. Now, reading The Sense of an Ending, I can’t get over how similar it is to Metroland. It is a vessel once again for remembering schooldays, pretentious attempts at intellectualism, incredibly close friendships, girlfriends and a peripheral, perennial preoccupation with death. I am very much enjoying it. And I agree with Justin Cartwright’s review in the Observer that compared it rather favourably to Ian McEwan’s On Chesil Beach. Perhaps what Barnes has achieved in the twenty odd years between the two books is a honing of his writing, a precision, an efficiency which means that 200 pages can shrink to 150, and a resulting immediacy that hooks people from the start. For the sad thing is, whenever I recommend Metroland to bookshop customers – occasionally putting a small hopeful pile of it on our table of favourites, or suggesting it as a good novel about London, or coming-of-age, or settling-down – people never buy it. They read the back or the first page, or listen to my enthusiastic description about flâneurs and then put the book down again. I suppose they didn’t first come across it at a vulnerable impressionable age. But at least they are all buying The Sense of an Ending. And perhaps, because it really is very similar indeed to Metroland, I can feel a little warm glow of smugness and, very occasionally – when no-one’s listening -whisper to myself, I told you so.